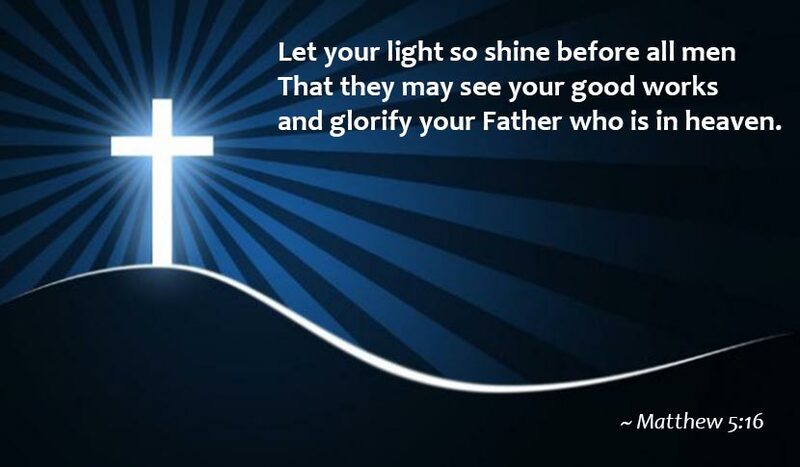 When Christ told us, " let your light shine before others, that they may see your good deeds and glorify your Father in heaven", He must have had Katherine Jenkins in mind. She may be a pretty blonde, but her real beauty shines from her heart. 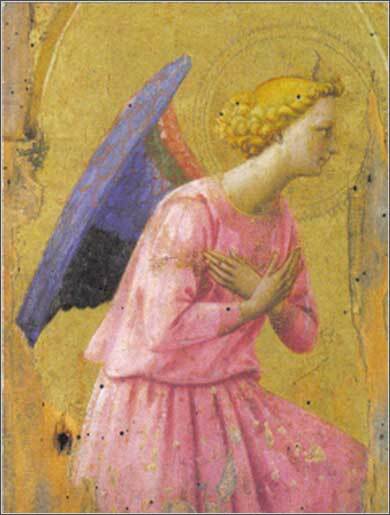 Adoration of an Angel, Fra Angelico ca. 1430. This charming tempura angel oozes with the humility and talent of “Brother Angel”. Paintings done in expensive vermilion, green, and blue pigments of the Renaissance were a status symbol among the rich, but they are totally absent here. The Christians are right: it is Pride which has been the chief cause of misery in every nation and every family since the world began. “You shall not offer the blood of my sacrifice with anything leavened, or let the sacrifice of the Feast of the Passover remain until the morning.
. . . continued from yesterday. Our trip through the rather weird-sounding ten commandments — the second version of what was engraved on stone — ends with the completely baffling stricture: “Thou shalt not boil a young goat in its mother's milk.” Feel free to laugh; the first thing that comes to mind when hearing this is, “No problem. Never done it, never intend to.” But the truth of this commandment, its importance, and the degree to which Christians ignore it, will give most people unfamiliar with it a bit of a shock. Boiling a baby goat in its mother's milk was a primary fertility ritual in Egypt and Canaan at the time. It was thought to magically increase the number and health of the offspring in a goat herd. A similar practice was planting a small amount of a second seed in a field; say, scattering a bit of barley seed in a field of wheat. These are not rituals directly associated with worship of an idol. They are simply supersititions. So, do we think the number 13 is unlucky, or the number 7 is lucky? Throw salt over our shoulder when we spill it? Fear a black cat crossing our path? Shrink from opening an umbrella inside the house? Yes, we do, most of us. But we must realize, and realize well: These “harmless” superstitions are an affront to God. We are allowing ourselves to be drawn into the fringe of magic. What do we think, what is going through our mind, when we practice superstitions? What power in the universe is going to give us good or bad luck depending on where a cat runs? Superstitions violate the ten commandments. They are, first off, a total lie. We are not going to make a new friend just because we find a penny. A horsehoe or rabbit's foot will not make us luckier. But that is not the point here. The point is, supersition is just a less fully developed indugence of our natural tendency to idolatry. Given free rein, this natural tendency will result in voodoo dolls and cutting off the heads of chickens. It saps the strength of faith. In most cases these little supersitions are fairly harmless. But what we need to realize is that standing up against them is a magnificent step forward in our life with Christ. There is no other God but God! We can give 100% of our faith to Him. Christ is not going to let us come to harm just because a black cat runs in front of us. Well, I can tell myself, probably not, but I'll just avoid it anyway to play it safe. Play it safe against what? The possibility that Jesus is not real? That He is not going to save us, but this unknown power that makes the number 13 unlucky will? We all do worse things than engaging in little supersitions; but overcoming them will free us from one of the shackles that slow us down in our journey towards Jesus. We can just clean out whatever corner of our mind that idiotic supersition has been occupying and make a little more room for the Holy Spirit.